It’s not every day you get a chance to work on an icon of British aviation engineering, which is why the graphics team at Kuhnel were delighted to be asked to adorn the much loved and celebrated Vulcan XH558 with a plaque to commemorate the 10th anniversary of this historic aircraft’s return to flight. 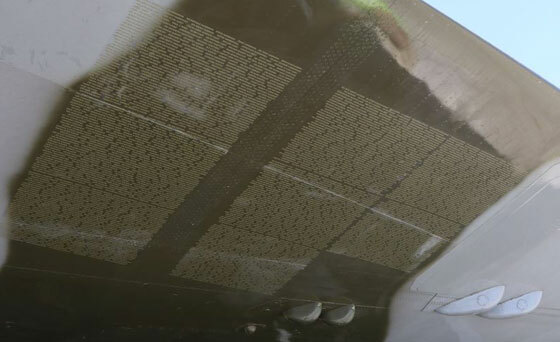 Featuring over 7000 sponsors names on 42 panels, the self adhesive vinyl plaques were carefully cited under each of the Vulcan’s wings by the Kuhnel team. The Avro Vulcan is an iconic example of British aerospace engineering at its world beating best, so much so that its large delta wings led the way to modelling the sleek lines of Concorde and the Space Shuttle. Today the Vulcan XH558 is owned and operated by Vulcan to the Sky Trust, a British charity established to maintain and operate this remarkable aircraft. 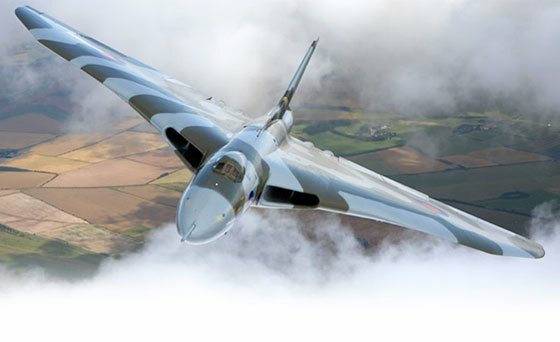 Spokesperson for the trust, Ian Homer, said: “The ‘Names Under XH558’s Wing’ campaign will generate much needed income to support the restoration of the aircraft while we wait for a new hanger to be built at the Vulcan’s heritage home at Doncaster Sheffield Airport. “Dan and Tom at Kuhnel did a fantastic job of fitting the graphics – great delivery and service”, he added.